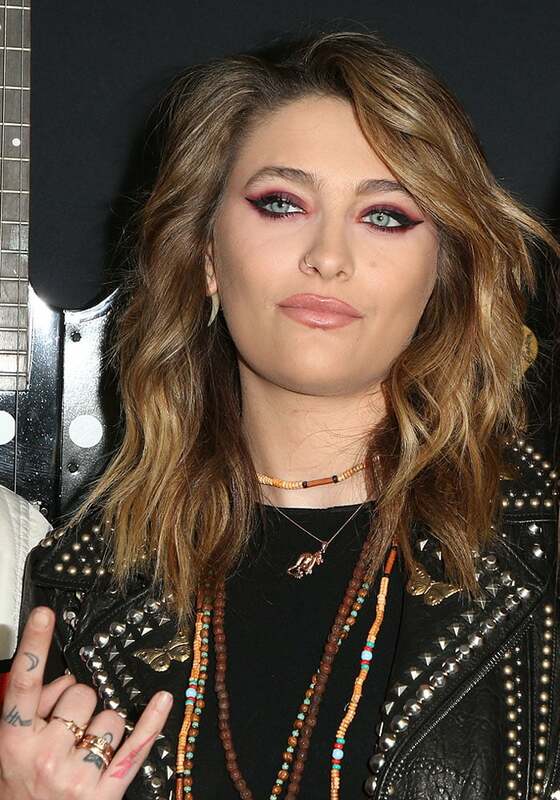 After her alleged attempted suicide, Paris Jackson struck a defiant pose on the red carpet at Netflix’s “The Dirt” premiere. The 20-year-old appeared strong (and tough!) in her all-black outfit. 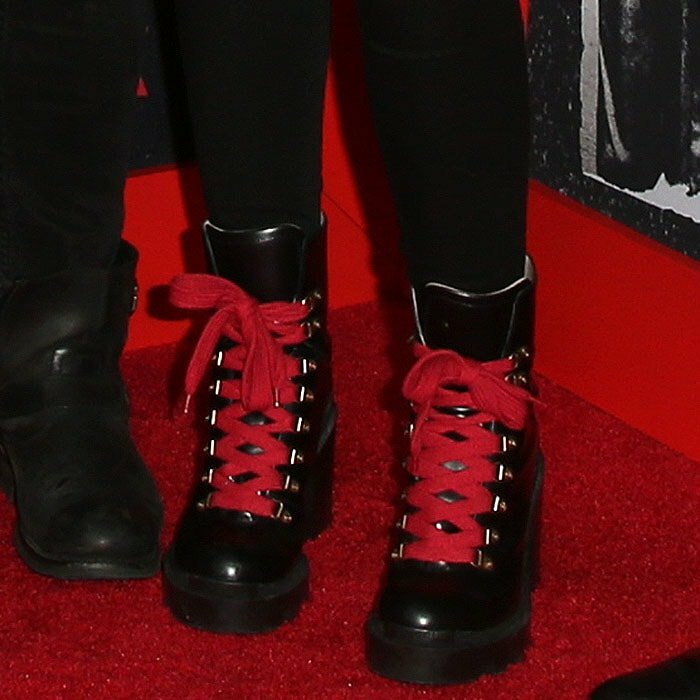 She donned a black t-shirt, black mid-waist skinny jeans, and finished with red-lace hiker boots with thick lug soles and chunky block heels. 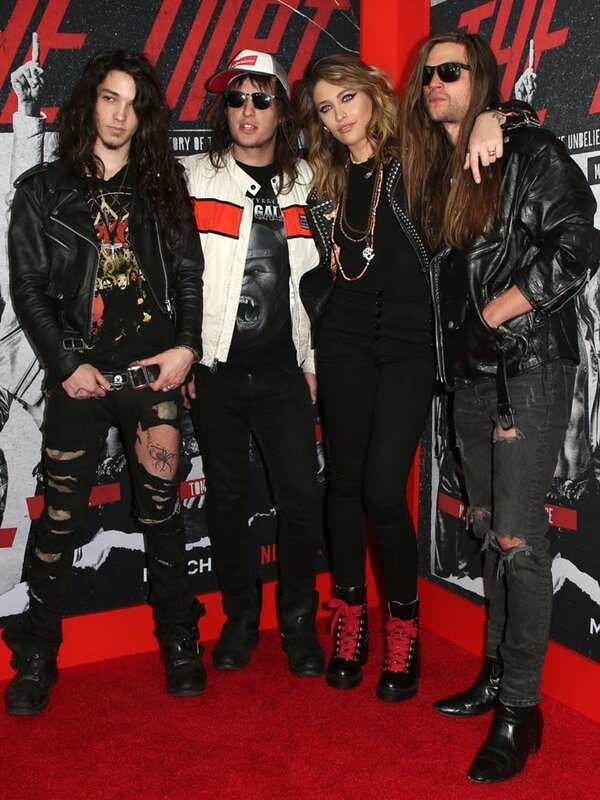 Of course, what even is a rock-inspired outfit without a black leather jacket? Like fellow attendee Bella Thorne, Paris also wore winged eyeliner but with subtler, less red eyeshadow ringed around her eyes. Never one without a touch of her signature bohemian style, the daughter of King of Pop Michael Jackson layered several wooden bead necklaces around her neck. Despite her denials, Paris continues to be hounded by reports that she tried to kill herself on Saturday morning. Rumors continue to swirl that she slit her wrists and that medics responded to an attempted suicide and not an accident as Paris claims.